I was thinking about the quote from Somerset Maugham that I posted the other day, and I realised that while I recognise the name, I don’t actually know anything about the man! He was one of the most popular writers of his time, and it is claimed the most highly paid author of the 1930’s. 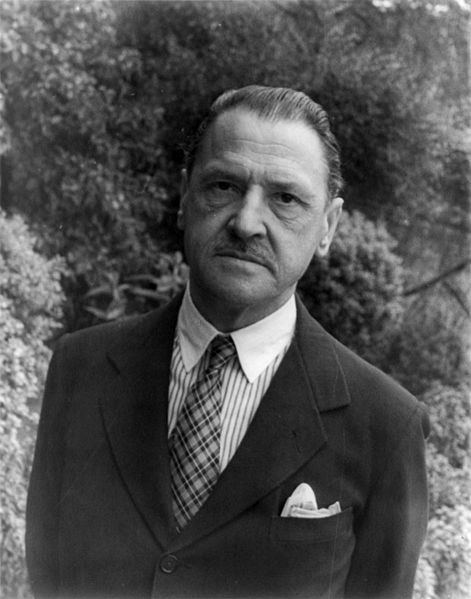 His full name was William Somerset Maugham. He was born in January in 1874 in the British Embassy in France. His parents were British but French law declared any child born on French soil could be conscripted, so his parents arranged to for him to be born at the Embassy which is technically British Soil. He died in December 1965, also in France. His mother Edith suffered from Tuberculosis, the doctor’s remedy? Childbirth!! I am trying to imagine how childbirth (and I guess pregnancy in general) would help a condition such as TB and I just can’t see how it could. (Actually a quick search on TB and it’s affects on pregnancy shows that women with TB are twice as likely to give birth to premature, or low-birth-weight babies, and four times more likely to die during childbirth! (http://tinyurl.com/6m3sfm2). Either this knowledge was not available at the time, or perhaps the doctor was hoping to shorten the poor woman’s pain!? Who knows, either way, she died when Maugham was just 8, only a short time after giving birth to another son who also didn’t make it. Maugham’s father passing away a mere two years later. He studied literature, philosophy and German at Heidelberg University in Germany for a year. He began writing when he was 15 and wanted to become an author, but did not share this with his Uncle, (who became his guardian after the death of Maugham’s parents) who had him study medicine instead. He qualified as a doctor but as his second book, Liza of Lambeth, sold out in a matter of weeks in 1897 he dropped the profession and turned to writing full time. His writing over the next decade allowed him to travel, but it was not until 1907 when he experienced success again with a play, Lady Frederick. In this year he also published a supernatural thriller (entitled The Magician) in which he based the main character on Aleister Crowley, an occultist known for his eccentricities. Crowley took offense and accused Maugham of plagiarism, an accusation that does not seem to have affected Maugham too much. Maugham valued his experience as a medical student and doctor in London, saying: “I saw how men died, I saw how they bore pain. I saw what hope looked like, fear and relief…” That would have been great fodder for writing! Thanks for the info. What is great about his writing is the economy of his prose, and in such respect, he was so akin to Graham Greene. I’m looking forward to reading some of Maugham’s work. I haven’t come across Graham Greene before either – sounds like he might be worth checking out too.